Mauritian Philatelic Blog: Happy Year of the Dragon! In traditional Chinese culture, the Dragon is an auspicious, mythical creature incarnated as an emperor, representing supreme power and commanding great respect. It is believed that people born in the Year of the Dragon are confident, courageous and clever. 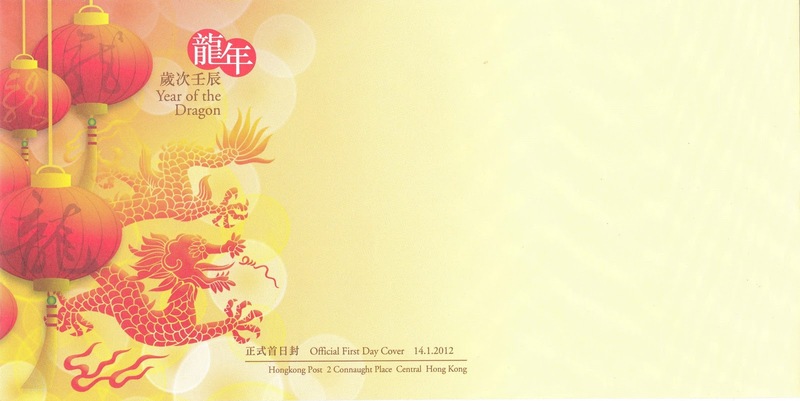 Finally we have this nice FDC which I bought on January 9, 2012 in Hong Kong. 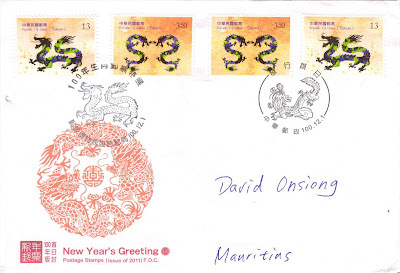 Unfortunately the stamps were to be released only on January 14... so couldn't affix them on the cover.